The National Democratic Congress (NDC) in its current state is a party that requires massive re-engineering to make it presentable to Ghanaians. That might be a tall order given the cancer of lies and propaganda that have afflicted and spread throughout the tissues and organs of the party. 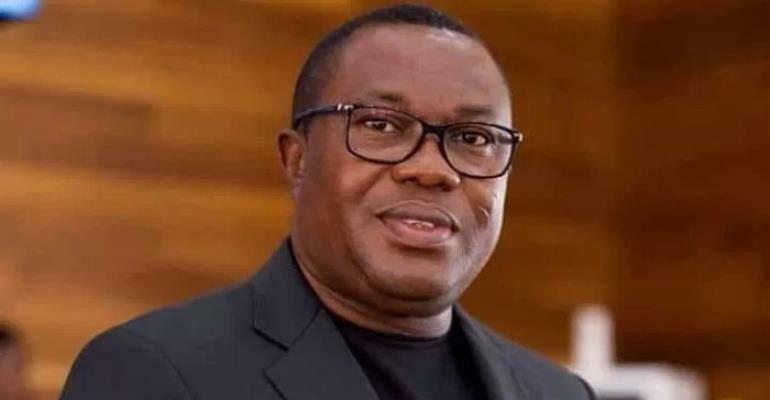 Anytime they attempt rubbishing the New Patriotic Party (NPP) – the objective of which is to improve their electoral chances – they sink deeper in the quagmire. Their arguments are put forth with an overwhelming dosage of hatred and done without their thinking caps; such arguments are also hinged on mendacious premises culminating in unsound conclusions. It is a party whose members are falling over one another to catch the eyes of the flag bearer so that in the unlikely event of his returning to the presidency, they would land juicy positions. Otherwise Adongo would not be messing up himself the way he is doing against the superior debate and presentations of the Vice-President, Dr. Mahamudu Bawumia. Ghana is not a one-party state. We opted for a multi-party democracy in which the parties manning the opposition aisle should be decent, bereft of cobwebs in their cupboards, and for which lying between the teeth is not a norm. Unfortunately, that is what we are grappling with on the political space. The newfound NDC hatchet man – Albert Adongo – is embroiled in an unusual hatred for President Akufo-Addo and Vice-President Mahamudu Bawumia that he addressed his godfather as 'President' John Dramani Mahama during their ill-fated NDC version of the town hall meeting. With only one President in the country perhaps it is time to examine the cognitive faculty of the MP unless he made the reference on purpose. Even if he did, he must still be examined to isolate a rare form of psychosis or so. Be it as it may, there is one President in the country and whoever thinks otherwise is committing a treasonable offence – actionable under the laws of the country. This is an evidence of the suggestion that the scramble to catch the attention of the former President can lead to sometimes crazy situations such as the one Adongo finds himself in. NDC should take note that the country Ghana has gone past this puerile propaganda. It would therefore be in the party's interest to rethink its strategy against the realities of the Ghanaian situation. We cannot continue applying PDC propaganda in a Ghana under an Akufo-Addo administration where the railway system is being re-awakened, governance given a whiff of freshness, flagship programmes unknown in the history of the country and many more coming on stream. Counter townhall meetings like all other things done hurriedly without thinking caps by the organizers and solely done to deal blows to the man now a thorn in the NDC flesh will yield nothing but humiliation and derision.